Approximately 5–10% of all patients with cancer will develop leptomeningeal metastatic disease (LM), often synchronously with parenchymal brain metastases and extracranial disease progression. The vast majority are symptomatic. As much of the literature is comprised of retrospective single-institution reviews of patients with various histologies treated heterogeneously, there is a lack of evidence supportive of a definitive treatment approach. 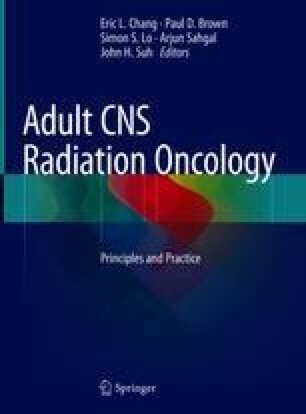 Palliative external beam radiotherapy (RT) is most often delivered for LM disease, and when in the brain, typically the entire brain is treated with whole brain radiotherapy (WBRT); however, in the spine, typically RT is delivered regionally to areas of clinically relevant gross disease. The latter is due to the potential excessive toxicities associated with whole-spine radiation, in particular myelosuppression. The intent of RT is to stabilize or improve symptoms in the short term; it is unlikely that RT improves survival.